-- year -- 2014 2012 2011 2009 ? 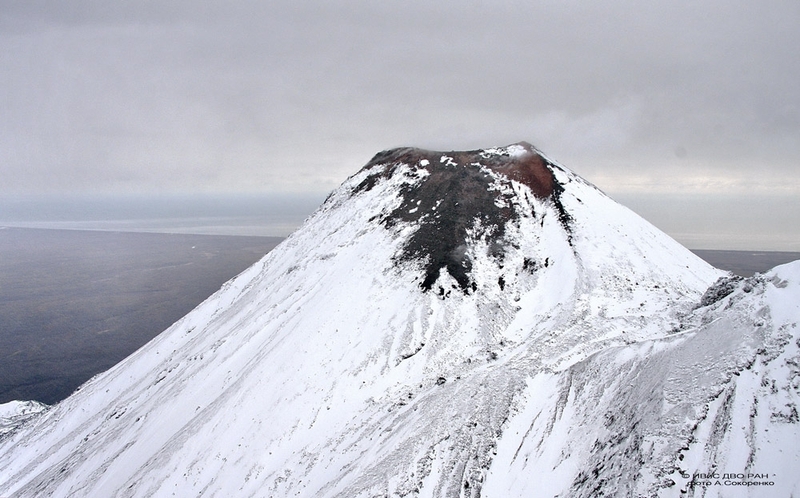 Kikhpinych volcano and Savich cone on October 15, 2012. 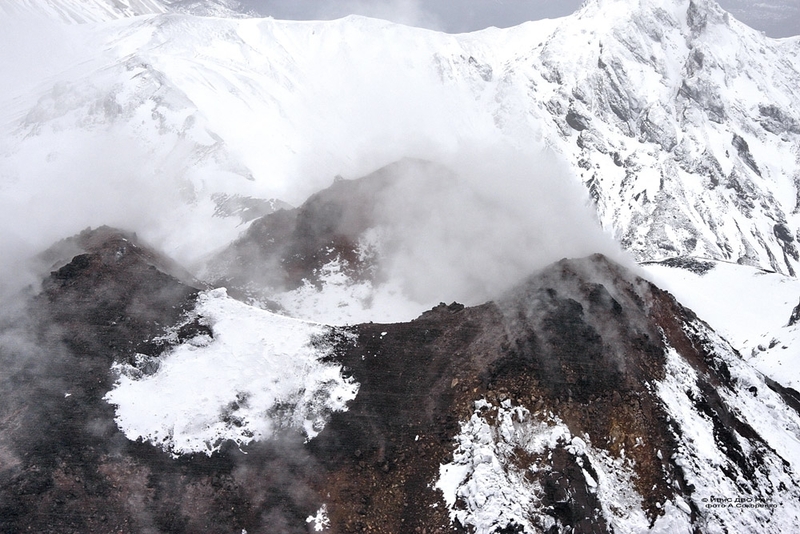 The two cones of the Holocene edifice are embraced by Old Kikhpinych (Mt.Peak) mid-Pleistocene eroded volcano. 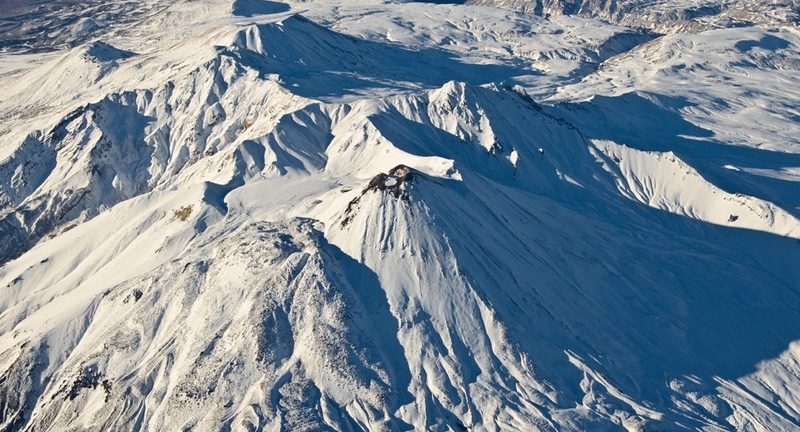 Older Zapadnyi ("Western") cone is closer to us, younger Savich cone is the highest one. 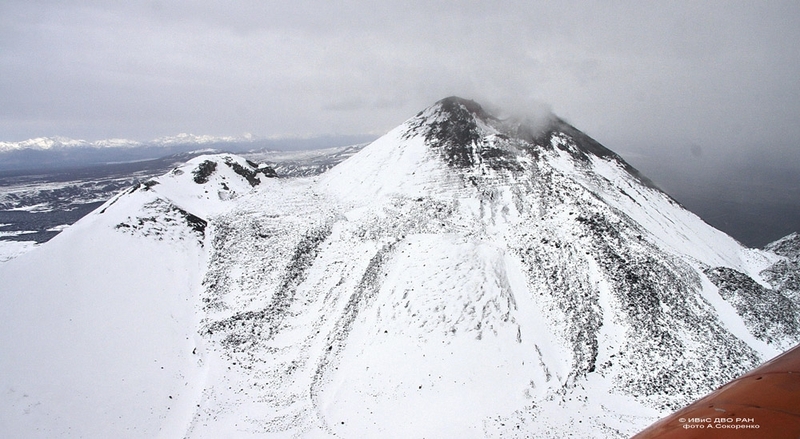 A large cinder cone named Duga ("Arc") is at the foreground. 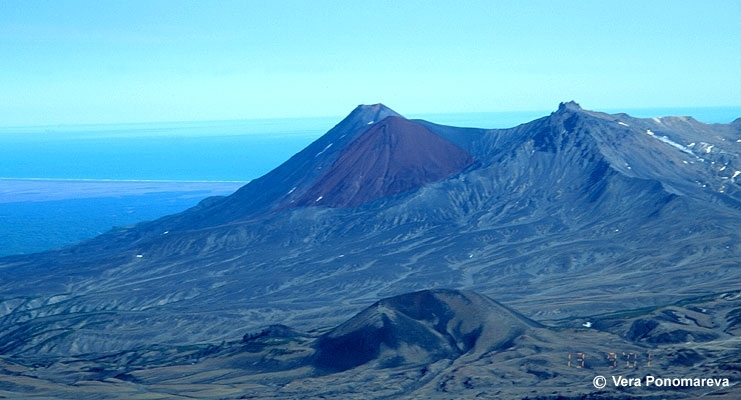 The cone and its several 5-10 km long lava flows formed about 3200 14C years BP. 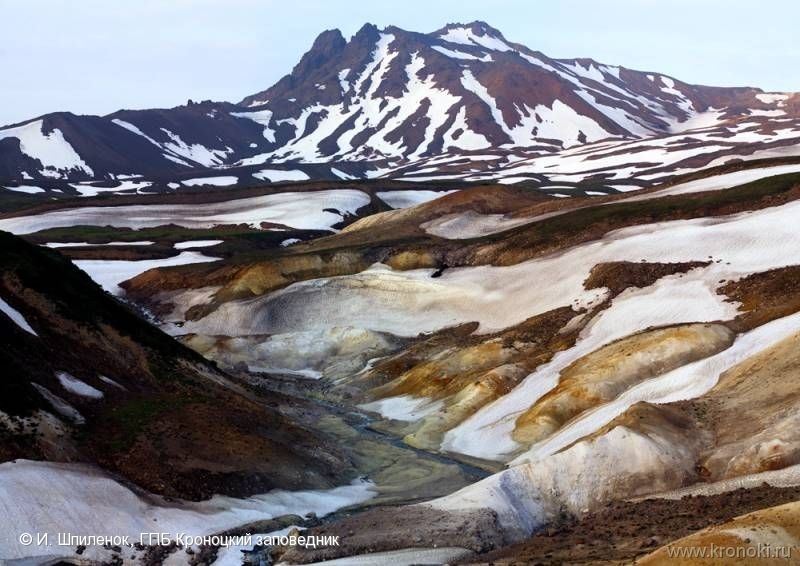 It is composed of tholeitic basaltic andesite very similar to that of Krasheninnikov volcano.